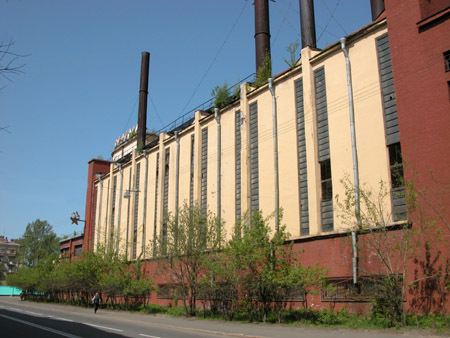 Let us for the sake of variety interrupt our palace tours and take a look at the Krasnoye Znamya (Red Flag) hosiery factory, aka Krasny Textilschik (Red Textile Worker). 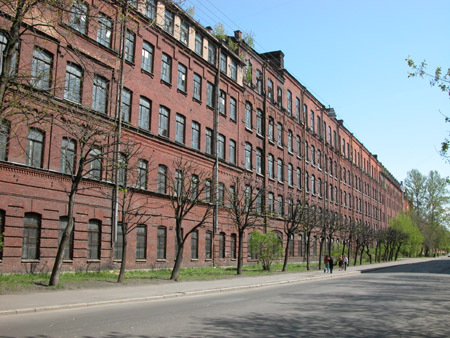 Before the 1917 revolution the factory was located in this building on what is now called the Krasny Kursant (Red Cadet) street. The building is a characteristic representative of the so-called "brick" style of the time. 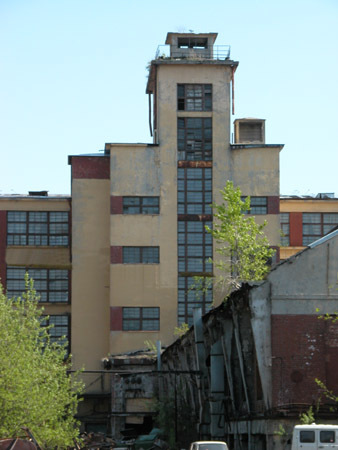 At the time the plant was known as the Kerstner socks and stockings factory. 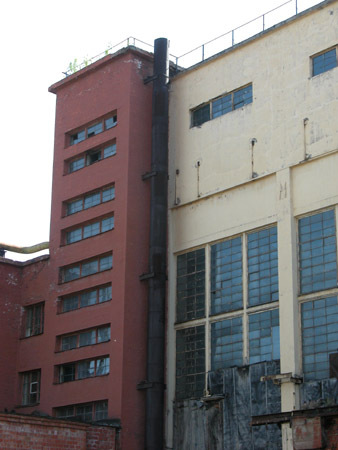 After the revolution, once industry revived, a need arose for a newer, more modern facility. The new building was erected in the middle 1920's. 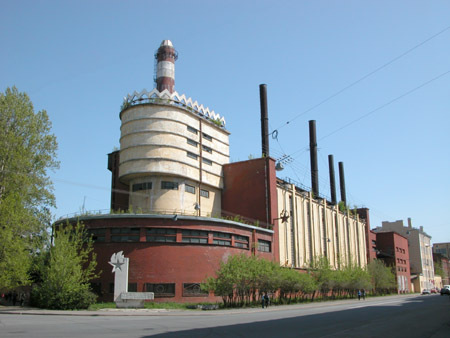 This photo shows the factory power plant, built in the "constructivism" style. 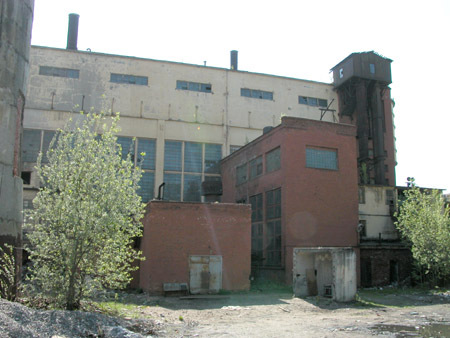 The factory itself takes up a large area. 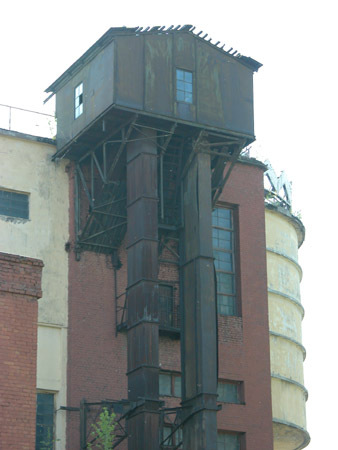 The semicircular part of the building that is closest to us contains the intake well, the settler, the clean water tank, the "American" filters, the primary pumps, and the water tower. At the back, topped by the smoke stacks, are the seven boiler blocks. The building is 26 meters high. Looks like a ship, doesn't it? The main smoke stack and the memorial plaque below weren't there when construction completed in 1926. 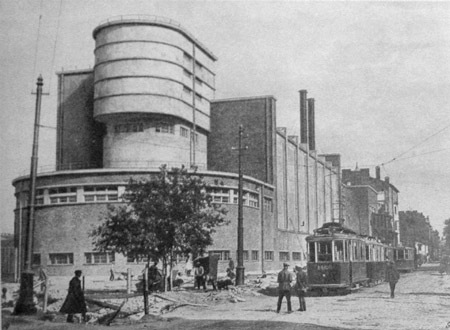 The building was erected in 1925-1927 by the German architect Erich Mendelsohn. 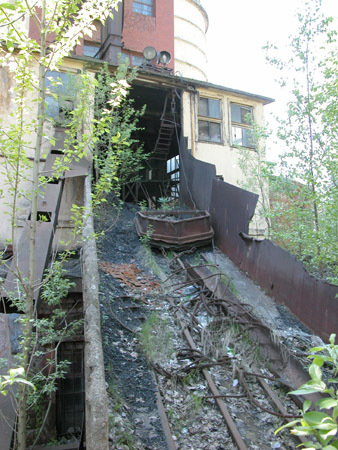 It is a little strange that the builder was ignored by the well known three-volume "The Architects of Saint-Petersburg". Mendelsohn's design was not fully implemented. 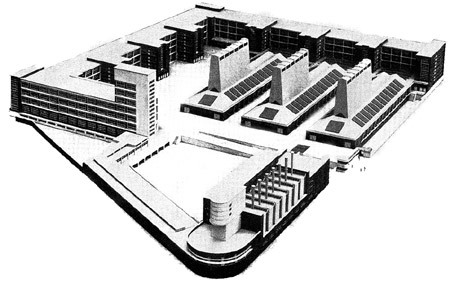 During construction conflicts arose with the local Leningrad architects (Mendelsohn was offered the project without competition). In the end he even disavowed authorship of the project. 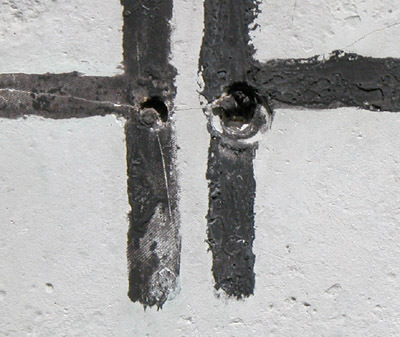 The original plan envisioned at least three more painting blocks. Here is what Mendelsohn's design called for. The factory appears to be closed now. 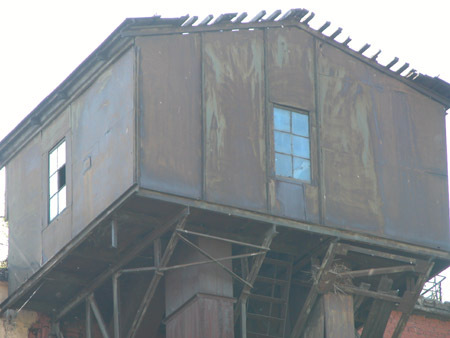 Parts of it are rented for storage space by other businesses, as is common with almost all factories in the city. 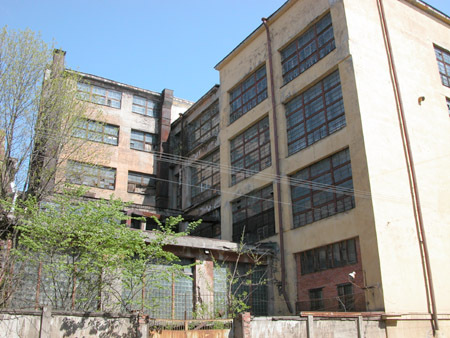 A view of factory blocks from the inner courtyard. 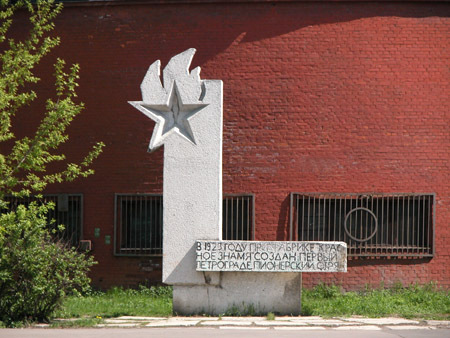 "In honor of the children of the workers of Petrograd who took part in the suppression of the counterrevolutionary Junker revolt in October 1917"
"The first Young Pioneers troop in Petrograd was established at the Red Flag factory in 1923." The street, by the way, is called the Young Pioneers. 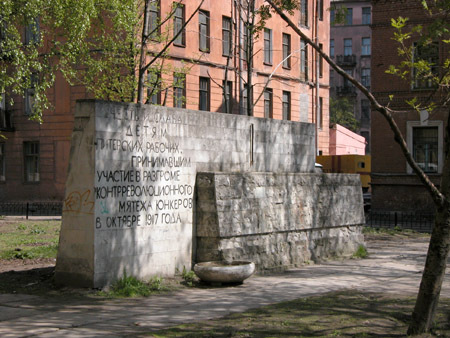 The right column now has a new section: "From the history of Saint-Petersburg/Leningrad/Petrograd". Currently it has one album: "Leningrad. Preparing for the 1980 Olympiad" (a series of postcards with texts).